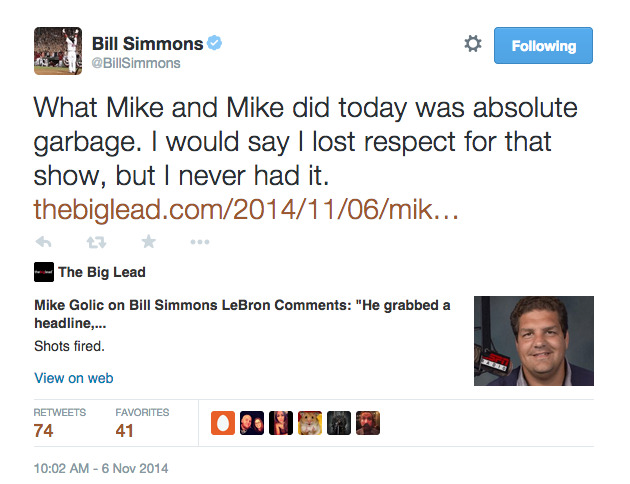 Fresh off a three-week suspension for criticising ESPN, Bill Simmons unloaded on the ESPN Radio show Mike & Mike on Thursday. On this morning’s Mike & Mike show, Mike Golic called Simmons out for saying watching LeBron in Cleveland reminded him of watching Albert Pujols when he first joined the Los Angeles Angels. 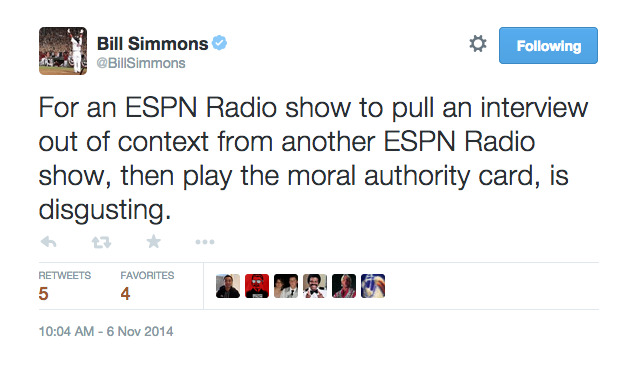 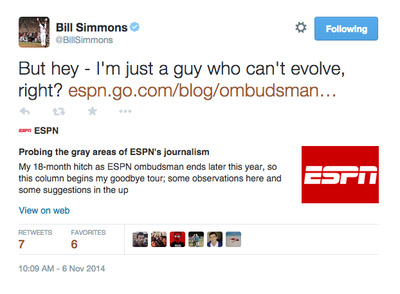 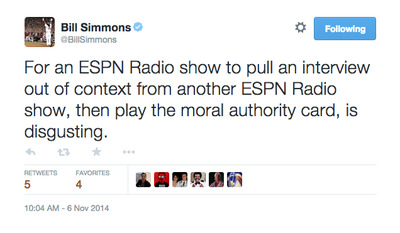 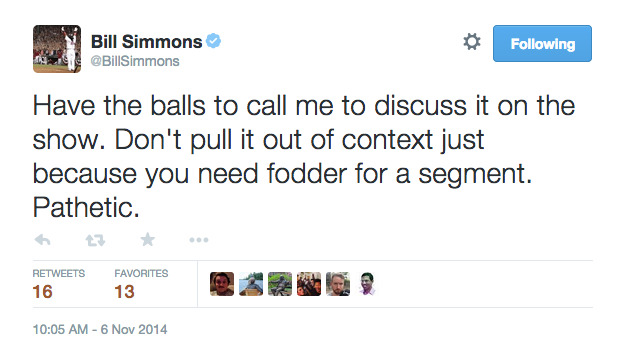 Simmons, who’s in the last year of his contract with ESPN, has been suspended three times for criticising ESPN. 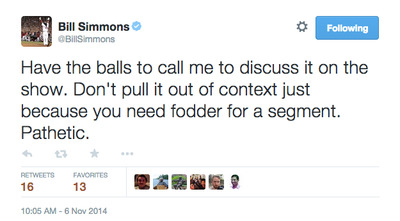 We’ve reached out to ESPN for comment. 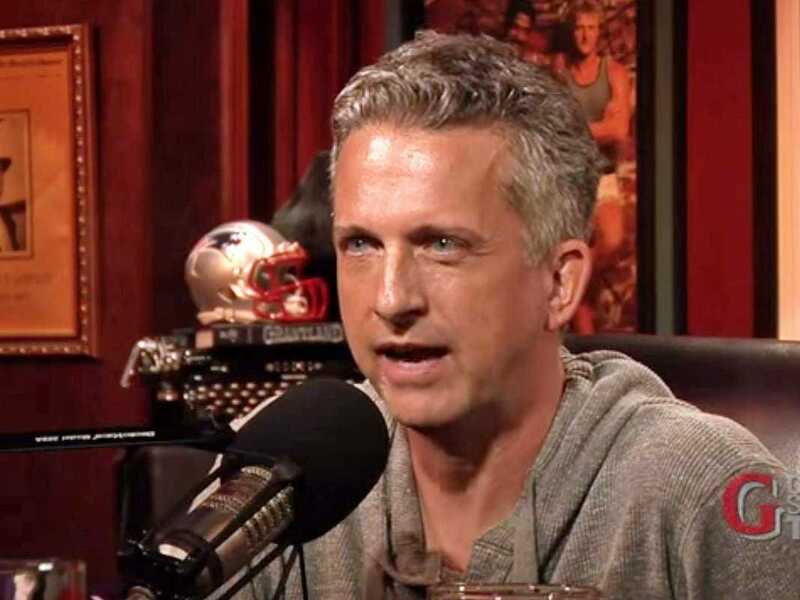 If somebody pours water on you, you should be allowed to say you are wet.
.@espn mgmt urges talent not to fire shots at their own troops. Anyone w/ a triple digit IQ knows who started this one.